Comic book newcomer Shazam! shot straight to the top of the US Box Office chart in its opening week. 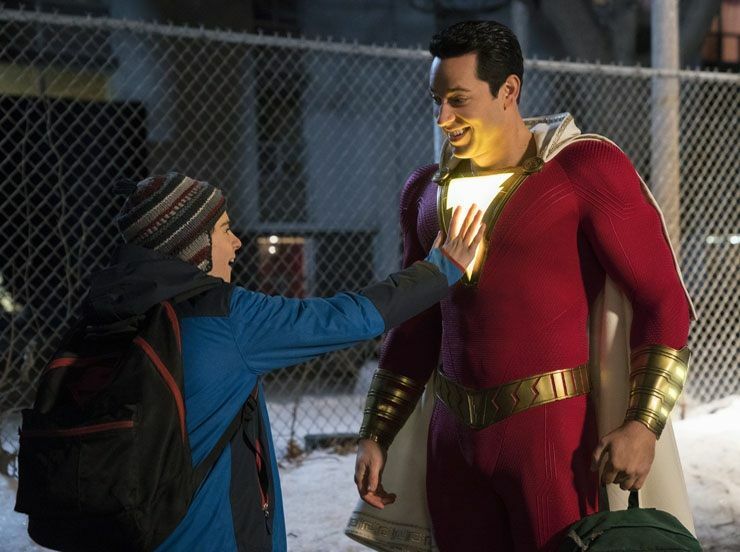 The relatively unknown DC superhero, played by Zachary Levi, took $53.4m on debut, more than double that of its closest rival – fellow new entry Pet Sematary. The Stephen King reboot, starring Jason Clarke and John Lithgow, took a healthy $25m more than 30 years after the original movie. That meant Dumbo came crashing down from his lofty position to third, while Jordan Peele horror Us slipped to fourth. Fellow superhero and name rival Captain Marvel dipped to fifth, despite passing $1 billion this week, while new entry The Best Of Enemies, Taraji P Henson’s Ann Atwater biopic, opened in sixth with $4.5m. Teen drama Five Feet Apart and Christian movie Unplanned took seventh and eighth respectively, with animations Wonder Park and How To Train Your Dragon 3 rounding out the chart.